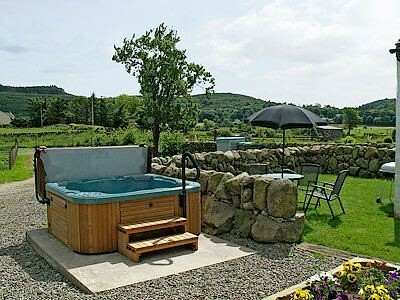 Situated in a cul-de-sac, with superb views across the Solway Firth and Rough Island bird reserve. 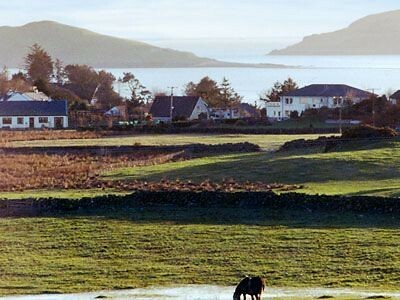 The small seaside village of Rockcliffe is 6 miles from Dalbeattie and 4 miles from Kippford. Rockcliffe is linked by a NT path of approximately 1 mile to Kippford and there are magnificent views from the path over bays and headlands to the distant mountains of Galloway. Many alternatives within an 8 mile radius. 18 hole golf course approximately 3 miles. 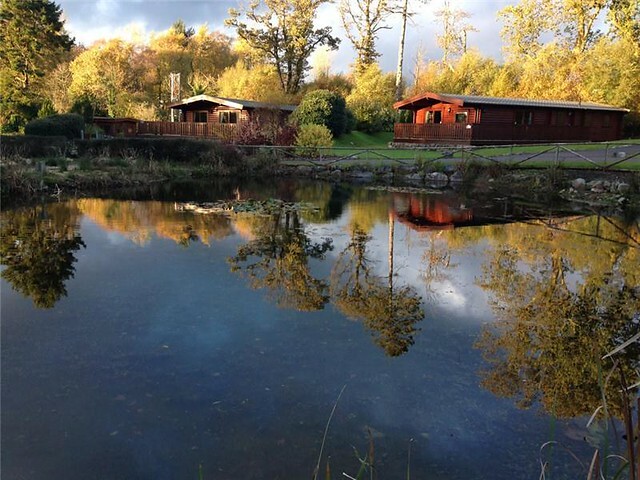 A fantastic holiday retreat. Shop 1 mile, pub 1½ miles by foot, 4 miles by car. Ground floor: Dining room/kitchen. 2 bedrooms: 1 double, 1 twin. Bathroom with shower over bath and toilet. Open tread stairs to first floor: Living room with double sofa bed. NSH (except bedrooms), elec and bed linen inc. Two cots. H/chair. DVD. Elec cooker. M/wave. W/machine. Garden and furniture. Parking (3 cars). 1st comment: Great property, quiet location, well equipped, gorgeous upstairs room with views over area. Lots of books, jigsaws and comfy furnishings. April 2011. 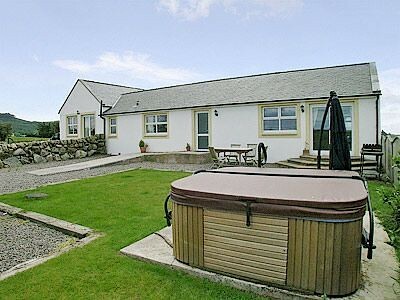 2nd comment: The property is spacious, well-furnished and in a wonderful location with views of the coast and Solway Firth. 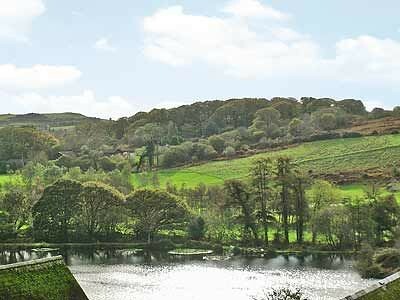 From the property you can walk along the coast toward Kippford or Sandyhills. 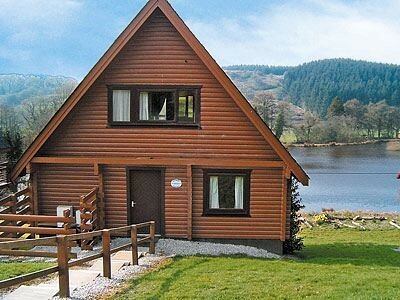 The property is about a mile from the southern end of Dalbeattie Forest which has wonderful mountain biking trails. Oct 2010. 3rd comment: Lovely location with great views from the upstair windows. Aug 2010. 4th comment: Location, views and proximity to the the sea. Spacious and comfortable. July 2010. 5th comment: Location: quiet, fantastic views of shores and hills, well equipped and spacious. July 2010. 6th comment: Although there are houses over the road between the house and the Solway as the sitting room is upstairs view is excellent. View to the rear is excellent. Area is great for golf walking and fishing. Too cold for us to sit out but nice little gardens front and rear for those who can. April 2010. 7th comment: The property was exceptionally clean. The views from all of the rooms are outstanding. There is road parking and pretty gardens. Feb 2010. 8th comment: Very comfortable & well-appointed with wonderful views. Nov 2009. 9th comment: Very comfortable and well equipped. Sept 2009. 10th comment: Large house with everything you could want for a peaceful holiday. Aug 2009. 11th Comment The double mattress in one of the bedrooms had been renewed which was a relief and much appreciated - this was the one factor that made me thoughtful about re-booking this accommodation.The view and proximity to the sea remains the most positive factor. Aug 2009. 12th Comment The accommodation had fabulous views, was very spacious and I would recommend it to friends. July 2009. 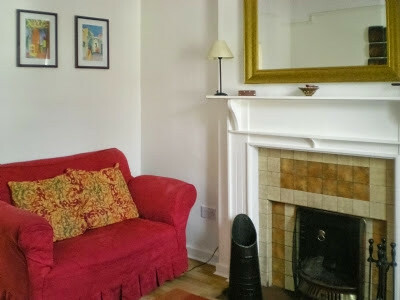 13th Comment There is so much to see and do from the doorstep and is excellent for walkers and families with young children and there is no need to go too far from the house. Oct 2008. 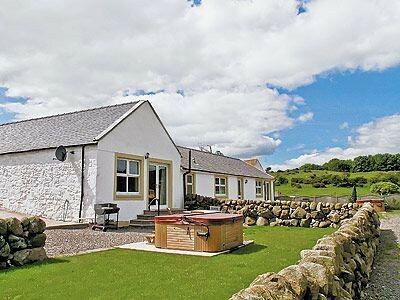 14th Comment Great holiday destination, Holiday cottage was splendid, nice and peaceful. Good distance to the beaches. Home from home! Will definitely go again! Aug 2008. 15th Comment A gem of a place, in our experience second only to our favourite cottage in Northumberland. April 2006.